Oil services giant Petrofac is facing the prospect of a £400 million legal claim after the firm’s former sales executive David Lufkin pleaded guilty last week in a Serious Fraud Office (SFO) case to handing out more than £39m in bribes to secure £3.4bn-worth of Middle East contracts. Litigation funder Innsworth and lawyers Keystone Law are getting ready to launch the case on behalf of institutional shareholders who say they have suffered significant losses on their investments in Petrofac since at least 2010. The claim is centred on allegations that the oil company was involved in bribery, corruption and money laundering, Keystone said. Innsworth and lawyers Keystone Law, are well progressed in their analysis of potential claims and are actively putting together a group of institutional shareholders who acquired or held shares during the period 1 October 2010 to the current date. It is claimed that shareholders suffered substantial losses arising out of Petrofac’s alleged involvement in bribery, corruption and money laundering, in respect of which Petrofacissued false and misleading statements and/or failed to disclose material information regarding Petrofac’s compliance and corporate governance policies and business performance and prospects. Investigations followed revelations in media reports that the Monaco based company Unaoil had facilitated extensive corruption and bribery in the oil industry and that in March 2016 the SFO initiated investigations into Unaoil. 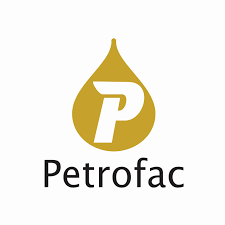 On 12 May 2017 the SFO announced that it was investigating Petrofac for suspected bribery, corruption and money laundering, in connection with investigations into Unaoil. On 25 May 2017 Petrofac announced inter alia that (i) Ayman Asfari (CEO and director) and Marwan Chedid (COO and director) were arrested, questioned under caution by the SFO in connection with the SFO Investigation, and were released without charge (ii) that the SFO did not consider Petrofac to have cooperated with the SFO’s investigation and (iii) that Marwan Chedid had subsequently resigned from the Board. Following these May 2017 announcements, Petrofac’s share price dropped to 489p, an approximate 50 per cent fall in the course of May 2017. After the SFO confirmed it was investigating the company its share price has failed to recover to the more than 900p it was trading at beforehand. Most recently, David Lufkin, the former global head of sales at Petrofac, has pleaded guilty to offering corrupt payments in an attempt to secure contracts in Saudi Arabia worth $3.5bn (£2.7bn) and contracts in Iraq worth $730m (£566m). Petrofac announced: “Petrofac confirms that no charges have been brought against any Group company or any other officers or employees. Although not charged, a number of Petrofac individuals and entities are alleged to have acted together with the individual concerned. No current Board member of Petrofac Limited is alleged to have been involved.” Petrofac shares fell by approx. 20% in response to the announcement. Innsworth is also funding substantial claims for shareholders against Volkswagen and Porsche arising out of the emissions scandal. Innsworth is funded by funds under the management of Elliott Management Corp.
News of the lawsuit came as Petrofac won a contract worth around $95 milllion (£74m) to support Siccar Point’s exploration drive west of Shetland. But this didn’t stop the firm’s share price closing down 1.4pc, or 5.5p, at 388.5p last night. Petrofac has declined to comment.